Graphics Display Controller | Socionext Inc.
Today's on-board information systems display ever-increasing amounts of information, and more advanced features such as improved design and visibility, as well as low power consumption are demanded. We contribute to a safer and more comfortable driving experience, while improving development efficiency and reducing costs with our comprehensive solutions. These solutions use interactive technology to precisely visualize and audibly deliver a wide range of information. 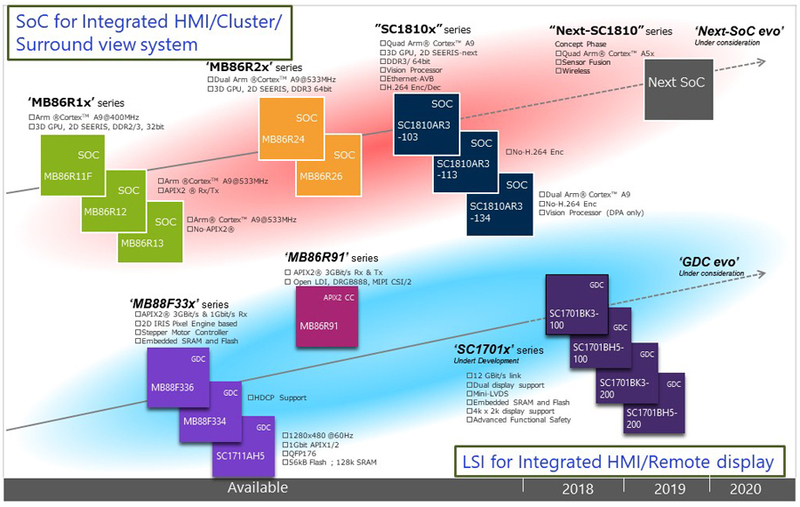 Socionext’s HMI solution consolidates information and displays necessary information on any display device by combining a high performance graphics SoC and a graphics display controller, instead of performing distributed processing where the display was controlled for each display device, thereby achieving a low cost, simple configuration. 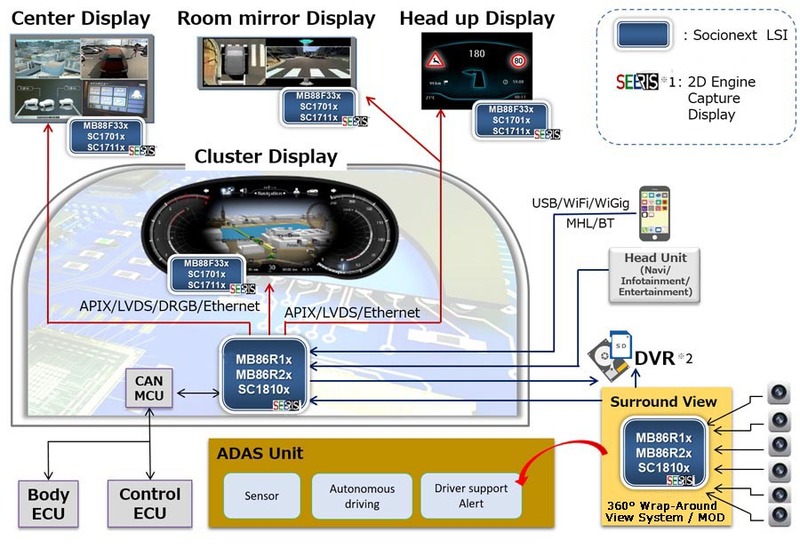 By dividing a composite image representing two screens received from the head unit, you can display the image on two display devices, supporting a multi-display system without having to change the device on the sender side. This frees you from conventional development, which makes it difficult to support the increasing amount of contents and multiple video input/output, and can use a common design even when the vehicle model or grade changes. *1 : SEERIS is a registered trademark of Socionext Inc.